Yesterday’s conference on Judges, Politics and the Irish Constitution, hosted by DCU School of Law and Government, was a superb event with a stellar array of speakers. It started with a bang at the first plenary session, when Mr Justice Hardiman of the Supreme Court gave a characteristically forthright assessment of the decision of the European Court of Human Rights (ECtHR) in O’Keeffe v Ireland concerning State liability for abuse perpetrated by a teacher at a Catholic denominational school. 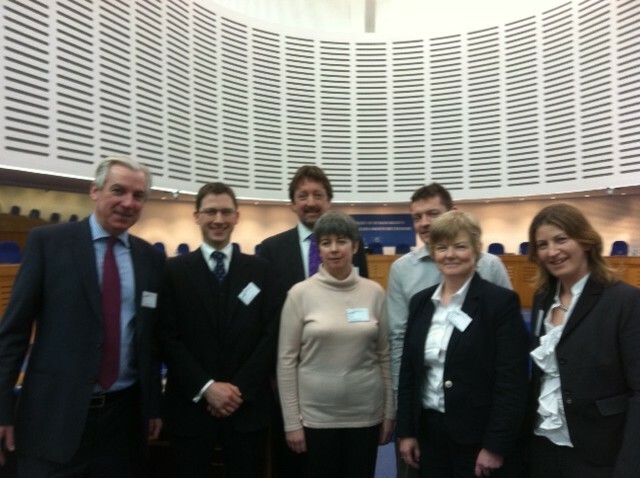 Hardiman J argued that the ECtHR had departed from its own principle that the ECHR was subsidiary to national law, and that the Court would only hear cases where all domestic remedies had first been exhausted. In the case of Louise O’Keeffe, he argued, this had not occurred; the Supreme Court appeal had related to the vicarious liability of the State for the teacher’s actions in abusing her. The claim of direct liability of the State for its own inactions, which had been the focus of the Strasbourg litigation, had been raised in the High Court but not appealed to the Supreme Court. Thus, Hardiman J argued that this particular claim had been “abandoned” and domestic remedies had not been exhausted. The decision of the ECtHR to hear the case nonetheless appeared to him “to amount to an attempted amendment of the charter” and had changed the Court’s powers in a “radical and indeed a revolutionary way”. Hardiman J relied extensively on the dissenting opinion of Judge Charleton in the O’Keeffe case. However, his spirited contribution singularly failed to engage with the reasoning of the majority opinion on admissibility and exhaustion of domestic remedies, giving the impression that the ECtHR had either ignored the point or failed to appreciate that there was live controversy here. In fact, the exhaustion of domestic remedies had been the main focus of the State’s defence, both in written submissions and in oral argument, and the Court addressed the issue directly first in the Chamber judgment and subsequently in paragraphs 98-121 and 175-186 of the Grand Chamber judgment. The argument advanced on behalf of Louise O’Keeffe, and accepted by the ECtHR, was that there was no point in appealing the High Court’s dismissal of the direct liability claim. While the principle that domestic remedies must be exhausted before applying to Strasbourg is well established, it is equally well established that an applicant is not required to exhaust remedies that would be futile. This is why the applicants in the well-known case of A, B and C v Ireland were allowed to take their case directly to Strasbourg; it was clear that there was no possibility that they would be granted abortions under Irish law, as their lives were not at risk. In Louise O’Keeffe’s case, there were three reasons why an appeal on the direct liability claim would have been futile. First, the High Court had non-suited it; it is essentially unheard of for the Supreme Court to reverse a decision made on this basis. Second, it did not fit into any pre-existing and recognised cause of action in Irish law. Success on this claim would have required the Irish courts to fashion a novel remedy, and as the Court observed, the Government had not been able to demonstrate, with relevant case law, how this might occur. Third (and most notably in the context of yesterday’s conference address), Hardiman J himself had actually addressed the direct liability claim in the final paragraphs of his Supreme Court decision (notwithstanding the failure to appeal it), and had summarily dismissed its possibility of success. These obiter remarks did not escape the attention of the ECtHR (see paragraphs 40 and 186). 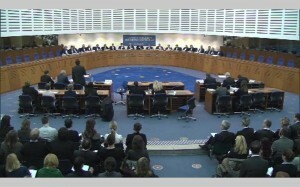 In responding to questions after his address, Hardiman J argued that it was not for the ECtHR to assess the likelihood of success of a claim in domestic law. However, it would seem that he wants to have it both ways, in that the Strasbourg court’s conclusion on this point was based on the assessment that he had made in the course of the domestic proceedings. Clearly, Hardiman J fails to appreciate the inherent contradiction between his obiter remarks in his Supreme Court judgment and his extra-judicial remarks at yesterday’s conference, and his criticisms of the ECtHR judgment in the Louise O’Keeffe case should be read in this light. Dr Conor O’Mahony is a senior lecturer in constitutional law at University College Cork, and along with Professor Ursula Kilkelly and the UCC Child Law Clinic, collaborated with Louise O’Keeffe’s legal team in the preparation of the case before the European Court of Human Rights. This entry was posted in ECHR, Judiciary. Bookmark the permalink.